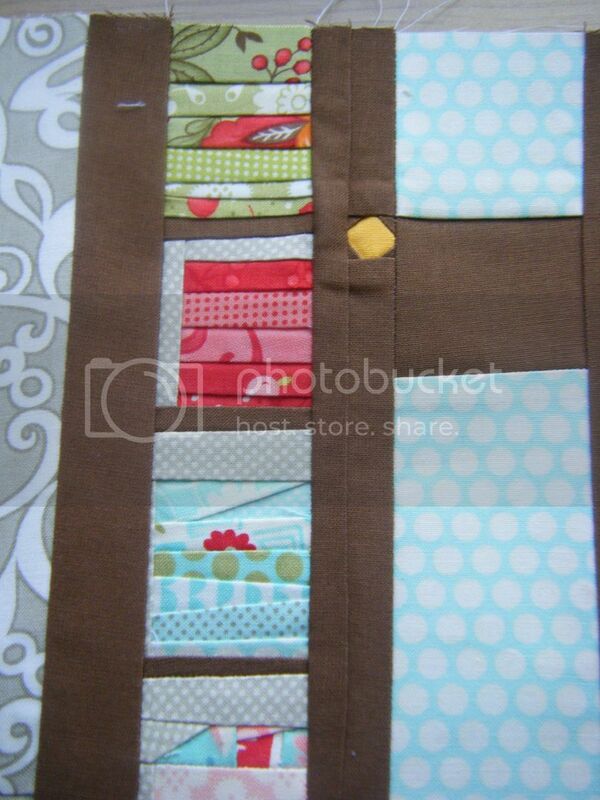 I've been working on the final And Sew On blocks from Kristy at Quiet Play. This is August's block, entitled I Like Big Stash. I wish I really did have a cupboard full of fabric and that it was as organised as this one! 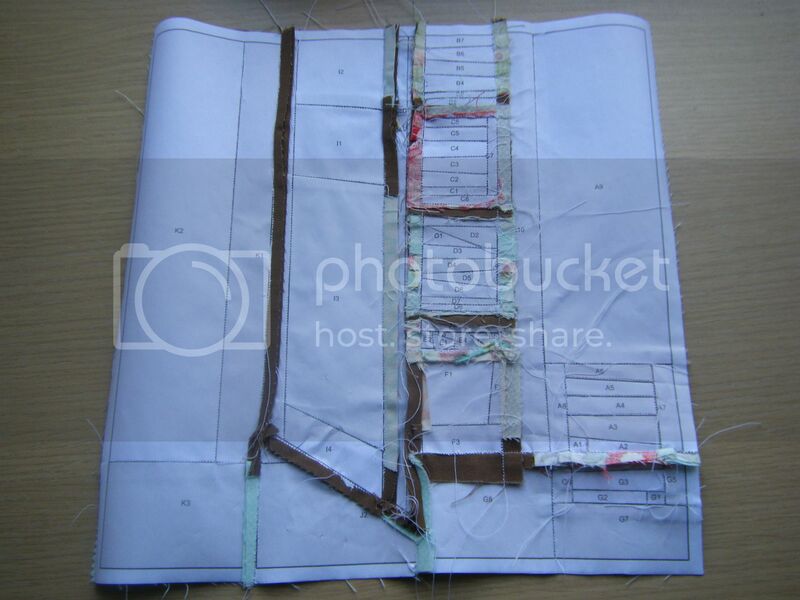 Before I'd sewn the sections together, I couldn't see how this would work at all. It didn't look like anything, let alone what it was supposed to. But then, as if by magic, it transformed! If this was my stash cupboard, it would be my Bonnie and Camilla stash cupboard, so I'd have to have others for the rest of my fabrics. 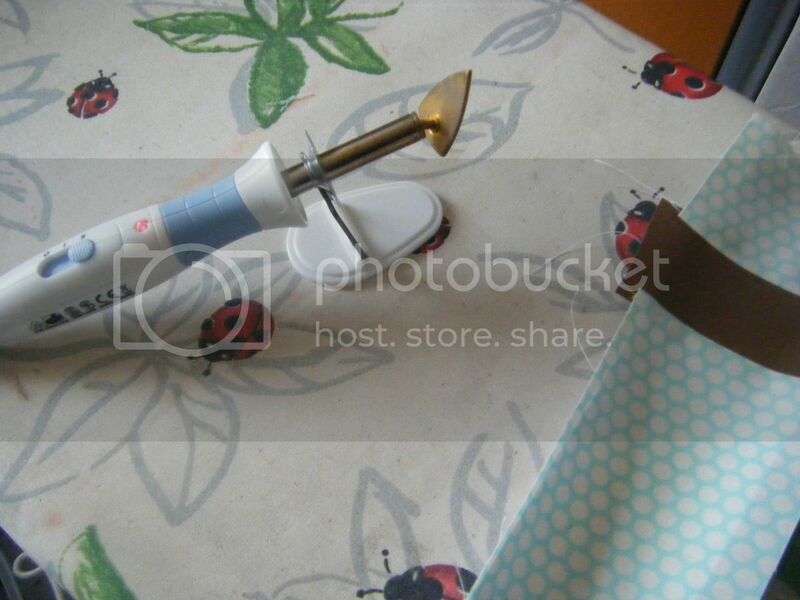 Oh, I wanted to show you a tool I use when paper piecing. 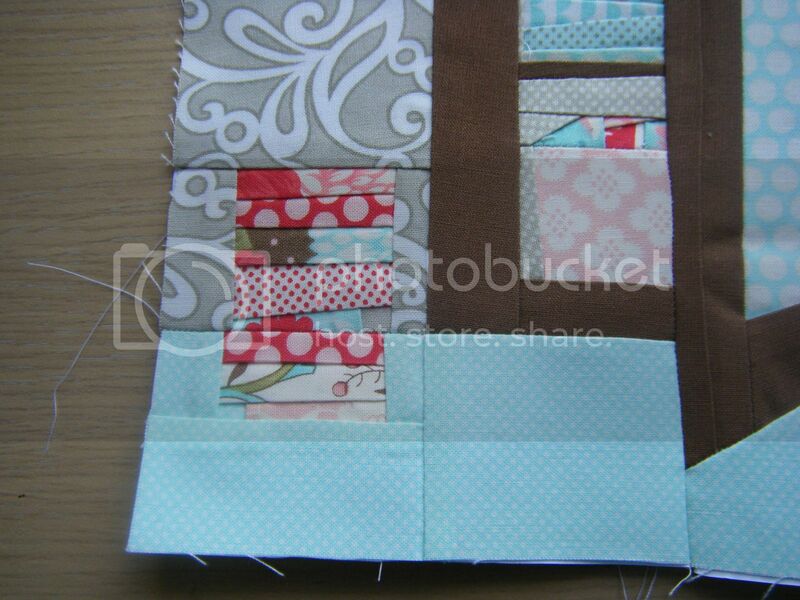 One of my guild mates laughed at me, but I actually find it really useful for smoothing down the pieces when paper piecing and especially for pressing seams open with patchwork. It is just so much easier on small pieces than a massive great big iron. Now that's what I call a very cute block! 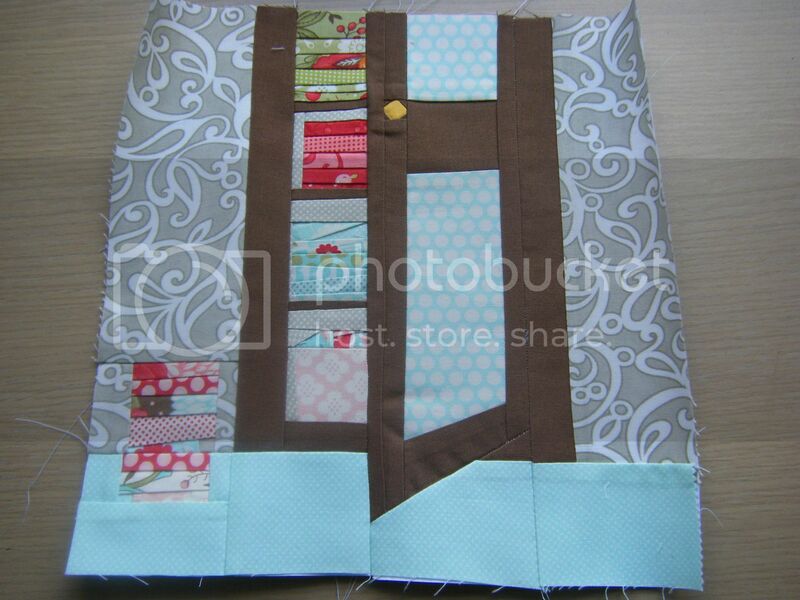 It would be lovely just on its own as little wall hanging for a sewing room. Can't wait to see all your blocks together. It looks just fabulous! Well done! Great block, I agree with you about the mini iron, I have one and find it invaluable and kinder on the wrists and hands. your block is great.. and a most impressive stash!!!??? I don't have one of those irons but I do fancy one... especially good for little things..
Are all your blocks going to be made into a quilt? What a great iron, who would be so cruel as to laugh at you for that *cough*!! Seriously, love this block it is a fab bit of paper piecing, and really does look like a cupboard full of fabricy loveliness, just gorgeous. I love that block! I've never seen one like that - what a fantastic design, and you did a perfect job on it, Wendy - open Pandora's box (cabinet) and find a (fabric) treasure! I would love a mini iron, she doesn't know what she's talking about!There are wooden rollers you can get too, not sure if they're any good or not. WOW! What an amazing piece!! Love this block, it is adorable. Imagine having a stash cupboard like that full of B & C fabrics, it would be absolute 'Bliss'! Your block is beautiful! Love the wallpaper... and your Bonnie and Camille stash piles! Look like there's quite a bit of action going on your way. Love the work you're doing. Enjoy. Brilliant! I think you used the right fabrics for everything. I love the cupboard too, perfect! It's great! The fabric you used is perfect, the cupboard really stands out! Really cool! Love,love,love your stash cupboard ;) I have a small iron too (although not that small) it is wonderful for working with small pieces.